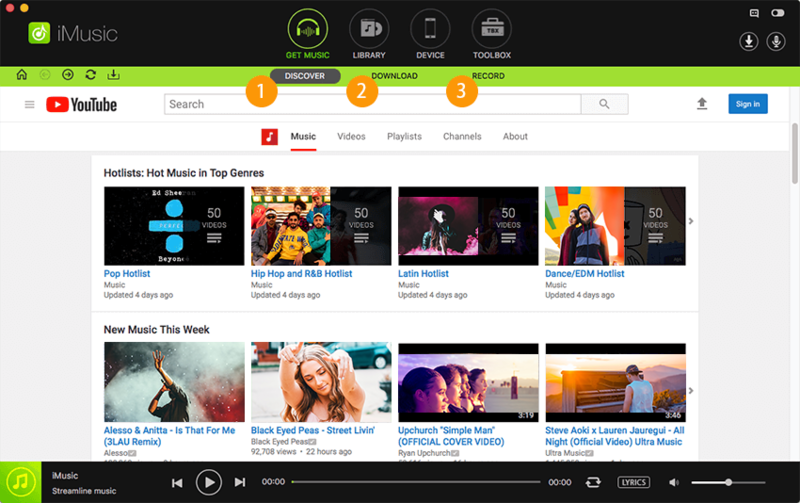 iMusic has integrated a built-in music library and the search tool for music from YouTube. You can discover the music you like by genres and artists. And playlists, even the hottest lists are gather for you as well. Here are the steps for how to use iMusic to discover music track in YouTube and other music sites. Download and install iMusic on your computer, then launch the software once completed. Click the "GET MUSIC" menu on the top of the software, then click "DISCOVER". You can discover music in this music downloader and manager pro to discover latest music track, album, playlist, catogory, etc. If you want to enjoy your favorite songs that have been added to your account, just login to YouTube from the page. There is a Download button on the top of the menu, you can just click it to download when you open videos or playlists. 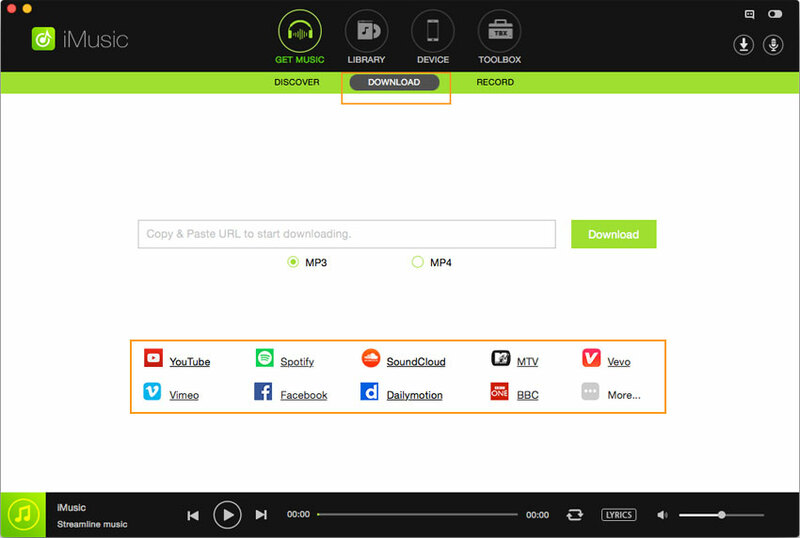 By the way, in the DOWNLOAD tab on the right of DISCOVER, you can see several music sites, from where you will be led to the corresponding music site. Choose the one you like to enjoy your music journey.